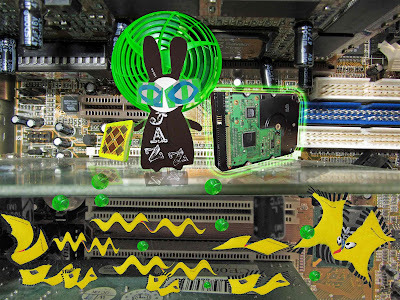 The Wabbit’s paw touched the Wabitron drive and made up a circuit with his ceramic stack memory card. He suddenly glowed bright green and electronic spheres flew hither and thither. The Wabbit called these spheres Score Kalm and they were a computer virus he had developed in his shed especially to fight the Agents of Rabit. But the spheres captivated the Swarm and it became quiet. So the Wabbit began a rhythmic chant, consisting entirely of football scores that the Swarm found soothing. "Accrington Stanley, one," he crooned and stopped for a while. The Swarm waited expectantly. "Hamilton Academicals, one," said the Wabbit calmly. The Swarm started to settle and as they did, the Wabbit's lost data began to write to his ceramic disk and he grinned. "Hertha Berlin, three," said the Wabbit in an ascending voice, then paused for a lengthy period. A small sigh rose from the Swarm. "Moscow Dynamo, two," he said gravely. More of the Swarm settled and their chips yielded an increasing amount of data to the Wabbit's memory card. "Red Star Belgrade, nil" announced the Wabbit and waited. The Swarm sank lower and all the creatures looked up. 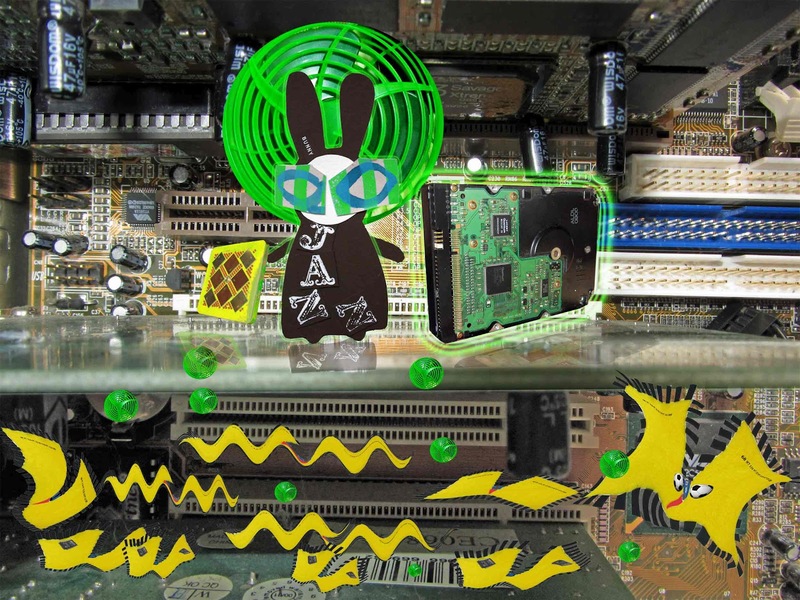 As the Swarm fluttered to the bottom of the computer, the Wabbit could see that he had nearly all the data he needed. "San Jose Earthquakes, nil," said the Wabbit sternly. The Swarm was completely inert. "And that was the end of World Football," announced the Wabbit. Tucking his ceramic memory card in his fur, he made for a nearby ventilation grille in the back of the computer and hopped quickly away.